The Hamilton Naturalists’ Club has been presented with many awards over the years for our publications and for our programs promoting nature education and nature protection. Some of these are listed here. Presented to Falcon Watch on June 6th, 2007. 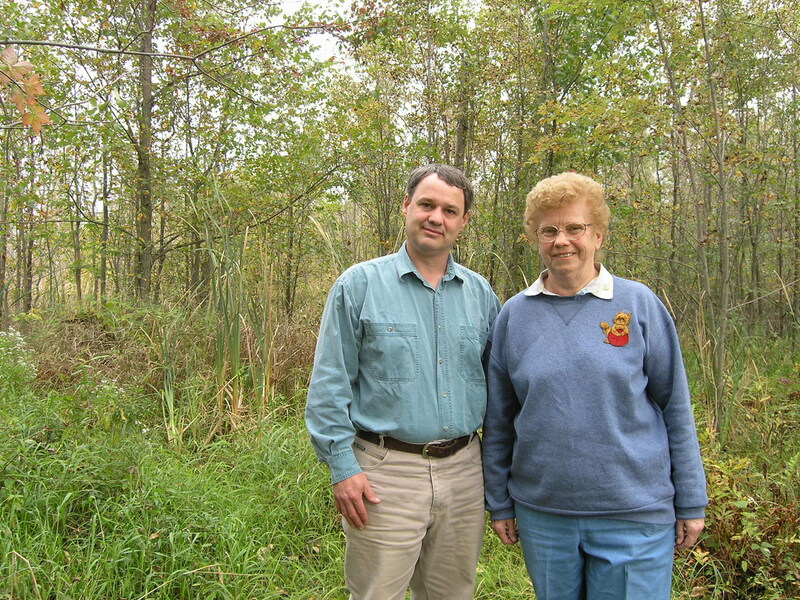 For the protection and management of the Cartwright Nature Sanctuary and participation in the Halton Natural Areas Inventory Program. This effort has contributed to environmental protection and watershed health. November 14, 2006. Presented on the 75th Anniversary of Ontario Nature in recognition of Hamilton Naturalists’ Club as a founding club of Ontario Nature. November 10, 2005. In recognition of an outstanding contribution towards the protection of the natural diversity and natural habitats of Ontario’s Carolinian Zone. 2002. Presented to the Junior Naturalists of the Hamilton Naturalists’ Club for “outstanding contribution to conservation in the Halton Watershed”. October 4, 2001. Presented to the Sanctuary Committee of the Hamilton Naturalists’ Club “in recognition of your generous contribution towards land acquisition in the Vinemount South Swamp”. June 16, 2001. Recognizing an individual or group that has achieved a significant goal related to some aspect of natural history or natural science research. For the publication, Naturally, Hamilton! A Guide to the Green Spaces of Hamilton-Wentworth and Area. May 30, 2001. Presented to a corporate partner who is not traditionally recognized as part of the tourism industry, but has given exceptional support to tourism in Hamilton. For the publication, Naturally, Hamilton! A Guide to the Green Spaces of Hamilton-Wentworth and Area. June 26, 1998. In recognition of “your pioneering spirit, dedication and outstanding service in implementing the NEBRS Canadian Biodiversity Plots”. June 1998. Presented for meritorious service in the protection and enhancement of our environment to the Junior Naturalists’ Club. A Presentation by the Hamilton Naturalists’ Club at theEnvironmentalists’ of the Year Awards. November 7, 1996. In recognition of achievement in the field of Environmental Planning. 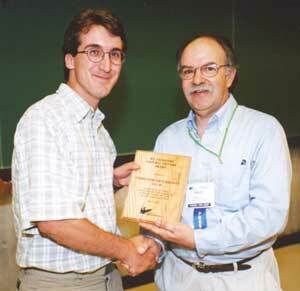 1993.In recognition of an outstanding contribution to conservation in the Halton Watershed. September 1, 1989. In recognition of active participation in the Summer Employment Program for Canada’s students. June 1989. For Meritorious Service in the protection and enhancement of our environment. A presentation by the Conserver Society of Hamilton & District Inc.
May 7, 1988. For the valuable effort put forth on Clean-Up Day. 1980’s. In recognition of outstanding contributions to the Restoration, Recovery and Conservation of Raptor Populations in the Great Lakes Basin. February 11, 1982. For outstanding efforts in the field of environmental conservation. It will come as no surprise to regular Wood Duck readers that the Hamilton Naturalists’ Club has many opportunities for volunteers to assist with education and conservation projects. The past efforts of one such group of keen and enthusiastic Club volunteers were recognized recently as the HNC won awards not once, but twice for one of our finest publications – Naturally, Hamilton! A Guide to the Green Spaces of Hamilton-Wentworth and Area. On May 30th the Club was awarded the Corporate Partner of the Year Award at the City of Hamilton 2001 Tourism Awards of Excellence. This annual award is presented to a corporate partner who is not traditionally recognized as part of the tourism industry, but has given exceptional support to tourism in Hamilton. “This organization has been an active supporter and booster of Hamilton and its natural areas since its inception in 1919. This organization has always been willing to be a part of preserving, protecting, and promoting the natural wonders to be found in our area, thereby providing ecotourism opportunities for residents and tourists alike. Most recently this organization revised and updated their key publication Naturally, Hamilton!. With funding support from their efforts and the Canada Trust Friends for the Environment Foundation, 100,000 copies of this 16 page revised booklet were printed in 2000 and with in-kind support from the Hamilton Spectator, 83,000 copies were included with newspapers delivered to subscribers in Hamilton & Burlington. On June 16th, at the Federation of Ontario Naturalists (FON) Woods Talk Conference in Toronto, the Club received a second award for Naturally, Hamilton! ; the W.E. 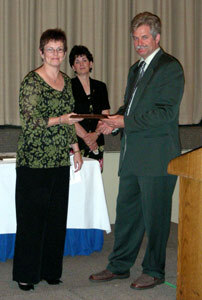 Saunders Natural History Award. This FON award recognizes an individual or group that has achieved a significant goal related to some aspect of natural history or natural science research. It was with great pride that I was at both events to accept the awards on behalf of the HNC. Naturally, Hamilton! in my view is an unmatched, top-notch publication that shows a side of Hamilton that many residents and tourists are unaware of. In addition to the thousands of copies distributed via the Spectator, thousands more have been delivered to tourism offices and tourist sites in Hamilton, and given out at festivals and events. By exposing all of these people to the beautiful natural areas in our community, the HNC hopes that many more people will be keen to see these and other natural areas protected for future generations. Many individuals contributed their time and enthusiasm to various aspects of this project and on behalf of all HNC members I would like to thank each of them here for their sustained effort which made the Naturally, Hamilton! project the success that it is: Christine Bishop, Rob Dobos, Lois Evans, Zoe Green, Ken Hall, Brian McHattie, Don McLean, Jocelyn Neysmith, Sheila O’Neal and Jean Stollard. Additionally, Karen Logan, the projects Graphic Design Artist, donated 30% of her fee.